Local events, tours and offers from around the Flores community. Support DOCK Komodo, and be more eco-friendly. Buy TWO get one FREE for the month of December. February schedule for classes at Bajo Yoga. Get in touch with Neren Diving Komodo for fun for everyone. To experience the best Flores and Komodo have to offer, contact Flores Journey and create your perfect holiday in paradise. Ideal for business or holiday visits to Labuan Bajo and the islands, the hotel offers open-air meeting space, restaurant and bar, private pool for hotel guests while admiring the only breathtaking view you can enjoy from our place. 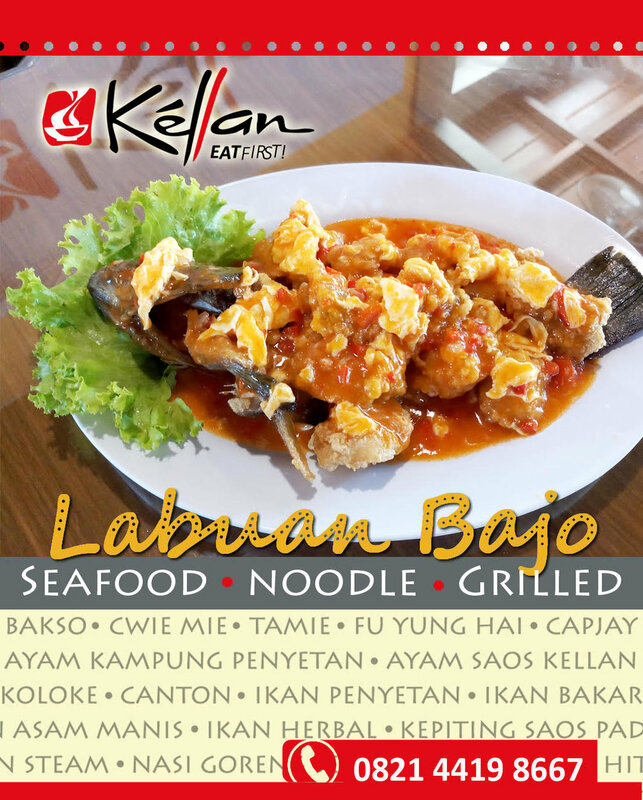 With an amazing range of Asian delicacies, Kellan Eat First is one of Labuan Bajo's exciting and traditional venues to eat at. Varied menu and affordable prices. Catering and buffet options available. Favourite place for families or group of friends. This two bedroom villa for rent is located in a quiet area with a modern interior and a fully equipped kitchen, parking, washing machine, cable TV with internet and phone line. 10-minute drive to the beach and city centre.